This week marks two years since we flew our son to Midwestern Children’s Hospital for a very specific surgery to help resolve some of the symptoms of his cerebral palsy. The surgery is called selective dorsal rhizotomy, or SDR for short. It will probably be many years—or maybe never—before I see early August arrive on the calendar and don’t think of that trip and his surgery. I still think about how brave he was at just over three years old, and how absolutely frightened but resolute my wife and I were at the time. 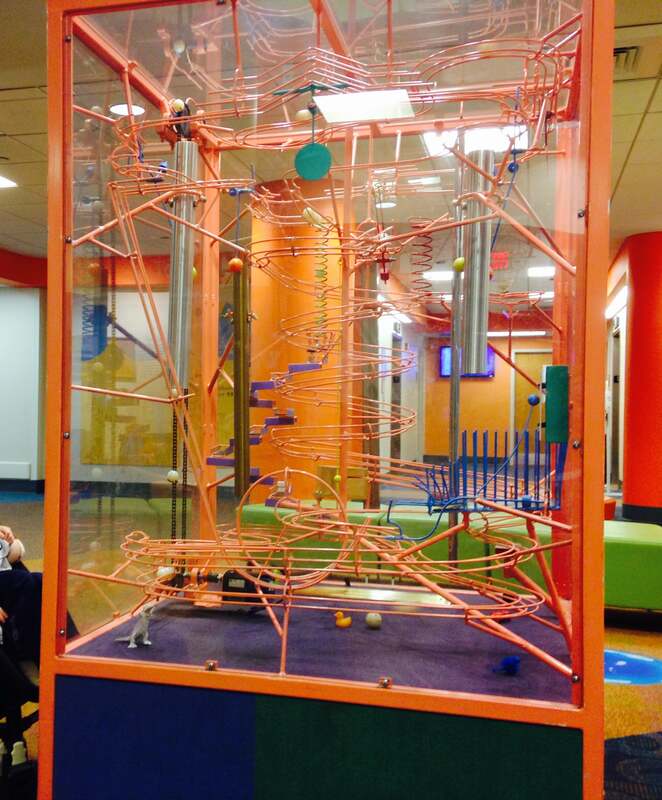 I also think about how incredible the staff were, and even about this mesmerizing closed-loop rolling steel ball exhibit in the hospital lobby. It had a Zen-like calming effect on me. Maybe we aged six months in that 10-day period around his surgery, but we also gained a wealth of knowledge and I’d like to share some of it. I’ll start before we even decided to proceed with the surgery. SDR is not an urgent, life-saving surgery; you know, the kind that undoubtedly must be the most frightening of all, but essentially removes the ‘should we or shouldn’t we’ decision-making aspect from the equation. Nonetheless, SDR is serious (is there any other kind?) spinal neurosurgery that was happening to our son, so we practically researched it to death. Looking back, even though I may have taken the research a bit far, I’d suggest to anyone–especially a caregiver looking out for a special needs child or an aging parent–research until you are comfortable, or at least have an understanding of what is going to happen and why you’re choosing it. 1. If a family member or a close friend asks about what’s happening, can you explain it clearly without relying on too many medical terms or jargon? 2. If a family member or close friend asks why you’re doing it, can you explain the benefits, how you believe they outweigh the risks, and not get defensive? I believe those are good indicators that you’re in a good place to act on your decision. And don’t expect everyone will cheer you on. If you’re looking for unanimous approval, you may never be able to make any decision where there’s some reasonable choice in the matter. We had some probing questions on whether it was too risky, and whether he was too young. We even had one of his physical therapists essentially volunteer that she was against it and didn’t like how it “changed” kids. Get loads of information, but look to yourself and your family, and pack some personal and emotional resilience to back-up your decision. 3. Read everything the hospital sends you in advance, even if it seems like long or “standard forms.” Knowing the details and process removes some uncertainty and it will help reduce your stress, along with the stress you might unwittingly put on the person you’re caring for. 4. If you still have questions, try resolving them before traveling for the care. If they are questions that must be addressed on-site, then have them written down and be 100% prepared to ask them as soon as you can. 5. Divide and conquer. Share this effort with a spouse, partner, or other close loved one, if possible. Don’t be afraid to accept family support. Vulnerable and soon-to-be-exhausted is no time to let pride get in the way of accepting support. 6. If you’re supporting a child through a medical procedure (no matter how scary) you must bring your best poker face and exude positivity and optimism… Even fun feelings. This is a hard suggestion, but it’s absolutely necessary. 7. Find healthy diversions when you’re waiting and there’s really nothing to do but wait. Read, exercise, stare at a cool exhibit in the lobby, anything to keep the dark corners of your imagination from taking ground in your mind. 8. Even if you’ve correctly asked dozens of tough questions in the lead-up, trust that the medical professionals nearly always do the best they can. Missed the previous post in this CP Dad series? Catch it here!